How often have you wanted to look like a PLAYMOBIL figure? Here at KBC it’s a daily occurrence. But never again will you have a bad hair day with your very own PLAYMOBIL beanie hat. For the first time ever, PLAYMOBIL’s iconic hairstyle can keep you warm this Christmas with the ‘PLAYMOhair’ beanie. Designed and created in collaboration with a top London knitwear label, PLAYMOBIL has released this limited-edition range to celebrate its 40th anniversary year. Teaming up with the UK’s fashion capital knitwear specialists, Electronic Sheep, the brand has created limited-edition bobble hats for adults and kids that exemplify the toy’s globally recognised haircut. Four colours are available; black, grey, blonde (mustard) and strawberry blonde (red). Forty pieces of each colour have been made to celebrate PLAYMOBIL’s 40th anniversary. Taking inspiration from the ever-popular Christmas jumper craze, this PLAYMOBIL beanie takes innovation and creativity to the next level. These wooly hats are the perfect winter accessory and make an ideal Christmas gift. 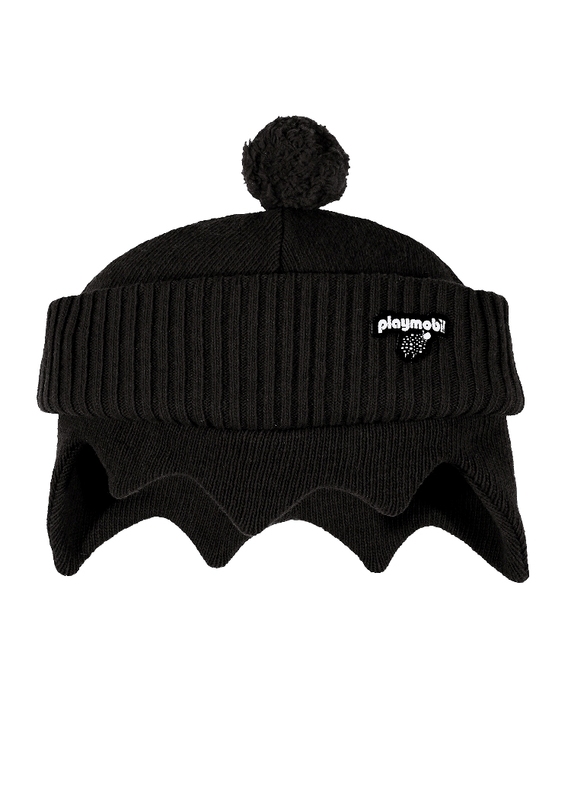 We’re giving away one limited edition children’s PLAYMOBIL beanie hat in black as shown above (suitable for age 4 to 8). Knitted in soft wool (80% Lambswool/ 20% Polyamide) it’s worth £20 and was made in Europe. Lots of options via the Rafflecopter below. Do as many or a few as you want. UK entries only please. One entry per person. This giveaway closes at midnight on 7th December 2014. One winner will be chosen at random as soon as possible after that and the hat posted out to them by the PLAYMOBIL people (assuming they can manage the envelope with those little curved hands they have). I have a Playmobil advent calendar that comes out every year. It’s wonderful. You can take your Lego and shove it! Playmobil all the way! My daughter wants the playmobil shopping mall for christmas. The range of products is great something for every child. The range of different types and the creativity it inspires playing with it. 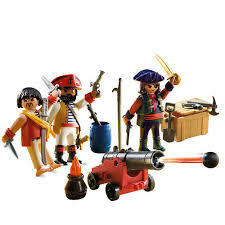 Playmobil is just a timeless classic! I know people who have their own playmobil toys from their childhood which is now being played with by their grandkids – How great is that! Playmobil is a huge favourite in our household. The kids never tire of playing with it and it allows them to be really creative. the best thing about playmobil is that it is practically indestructible! I like how various ages can join together to play. This looks cool!!! I am new to the blogging world (started today) and am so glad I found such a great blog already! The fact that there are so many ways to play. My son loves the annual catalogue and picking out what he would like. They are fantastic for imaginative play!